Even more than a robot that mows my lawn, I lust after one that would shovel my walks. The older I get, the colder it feels as I haul out my snow shovel each winter and clear away the snow. The i-shovel waits for the flakes to fall and then starts shoveling the driveway while you sip hot chocolate huddled by the fireplace. Since this beast isn't available for sale yet, I may just move further south to a townhouse and get a Roomba to sweep my house while I sit in my Bermuda shorts sipping something cold on the rocks. 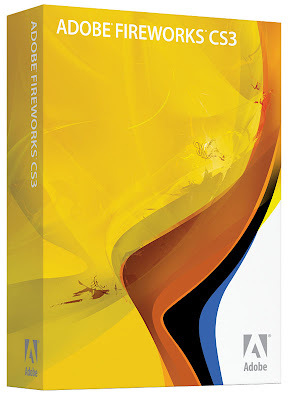 Doing certain tasks are easier in Fireworks than Photoshop (less steep of a learning curve). If kids are into the graphics they can always move on to explore Photoshop or Illustrator. The problem. I am not as adept at using Fireworks. So, what's a geek like me to do? I immediately started looking for tutorials online. I've found some good ones and I plan on sharing some of the better sites I find here. The first being a site put up by Joyce Evans who has written several how-to-books on Fireworks and Dreamweaver. She offers up a lot of video tutorials which are simple to follow and descriptions of books and DVDs you can purchase. I mentioned in an earlier post the idea that tagging a file might eventually become the common way to organize electronic files. Couple of days later I ran across this review of a tagging program (mac only) called Tags. The tagging concept, to summarize, basically allows a file to exist in many collections at once, as opposed to being stuck in one folder. Tagging can be used in combination with a folder hierarchy, or allow for flat storage and organization through search mechanisms. Tags allows you to classify not just files, but also web pages, iPhoto images, Address Book entries ... just about anything which would need to be collected to organize a project. I have taken to tagging my photos as soon as I load them in from my digital camera. 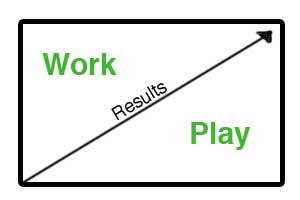 The success of the method, as with any organizational scheme, is to actually use it. After using the system for a couple of months I found it much easier to find a specific photo using a few key words. I bought a little shareware program called Keyword Assistant a few years back to help me out. It made it much easier to tag my photos. Tags (the program) looks to make it convenient to tag all my files? I had my first set of web kids crash and burn this week because of unorganized files. Their links were failing and they couldn't even find the files they were linking to. They didn't like me very much when I told them they had to get those files named and organized before I'd help them troubleshoot. I refuse to deal with a group of files all named "untitled". Generally speaking, my students don't understand computer file structure. After multiple experiences losing their assignments, the majority of them can at least save into their network folder. It's kind of like the backpack many of them carry. They stuff their work into the vast void and feel secure that it' in there somewhere. Maybe not immediately retrievable but accessible. I've read a couple of articles stating that because of tagging and improving search functions, it will someday not matter that you have your files scattered across a morass of oddly named folders and a hundred files all called "untitled". Considering the state of my physical desktop, my office and my garage, I don't have much of a high horse from which to preach. So, for most of my kids I only mock their tangled files, help them organize if they want and not accept "I don't know where I saved it" as an excuse for late homework. My web design students need to know how to organize their files and understand their relative position to each other and how to describe the path to a specific file from another. Editing programs, like Dreamweaver, let you get away from thinking about this and link pictures and files from where ever they may lurk on your hard drive. If you were never to move those files up to a server and only look at your pages from your own machine separated from the eyes of the world, that would be fine. But, we create web pages to share. To post. To be looked at by someone other than the nagging, bearded teacher looking over your shoulder. Therefore, I spend time trying to get my web students to understand the concepts of "tree" and "relative" and "absolute" and what "../file.doc" means. Every one of them will have to eventually troubleshoot a broken link on one of their pages. Every one of them will have to organize the multiple files and folders it takes to create a web site. I, as the teacher, need to figure out a way to help them do that in a professional manner without ranting or beating them with blunt objects. I've tried having them map out a file structure using a graphics program but unless they are really adept at using the program, the process seems to get in the way. I was planning on looking into some of the online mind mapping programs when I stumbled upon WriteMaps from a posting by Jennifer Kyrnin on About.com. It has one purpose and that is to visualize a site map. It's simple to use. It's online. It's free. You can share your work with others. I am thinking this is the program for my class. Students would each need to create their own account and need an email address to do so. You only have the choice of one graphic. One color. But, I think that may be part of it's usefulness. There are no distractions from the purpose of the program. You map out your site and that's it. I'll let you know how it works out in my classroom. Then I got to thinking (once I start it's hard to get this old rusty train of a mind to stop) that you could do a variety of things using a map of the states to represent concepts graphically. An activity could be designed to show the kids how to present information in a graphical way. I came up with several ideas. I don't know what the correlation is but it would be interesting to find out. 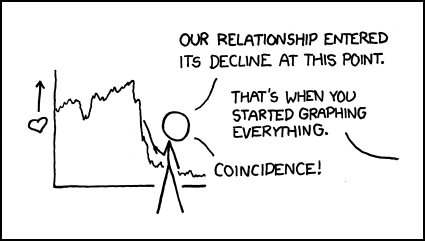 I might even let the students brainstorm their own correlations to test. I used to do this with blank maps and colored pencils back in olden times. Maybe it's time to update it? 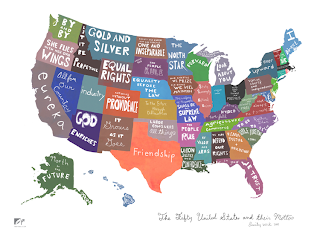 What else could the kids represent graphically on a map of the states? While driving to work a couple of weeks ago, I heard a promo for a program on NPR in which they played a little clip from a new album by Abigail Washburn (a clawhammer banjo player). I don't normally write about music here other than the occasional piece related to learning to play an instrument. 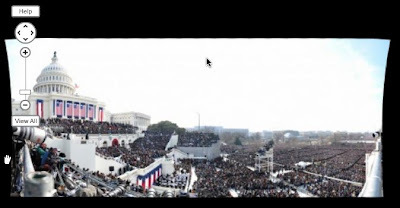 But, when I heard the clip I was instantly enthralled and wanted to share. It was as if the Appalachians had been settled by the Chinese along with the Irish and Scotts. She was singing in Mandarin but the music had a definite old-timey feel to it.....yet the Asian influence was there. 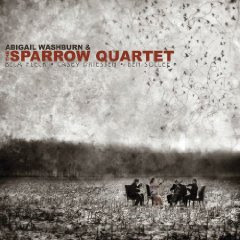 The album is Abigail Washburn and The Sparrow Quartet. I went home that night and downloaded several songs. I have since gone back and purchased most of the album (and her previous one too). I tracked down the NPR segment on World Cafe. Listen to the interview to learn more on how this all came about. It's a hard album to classify. It's a melding of several styles and cultures. Interesting. Beautiful. YouTube video of group performing Kangding Qingge live in China. 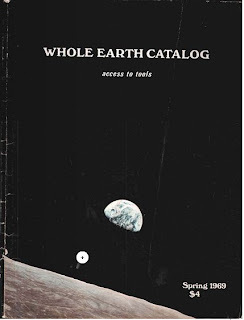 If you were a fan of the Whole Earth Catalog and it's sister publications than here is a welcome resource. Much of the collection (but not all) has been made available online. These books and magazine articles helped to shape so much of what I am today. Take a look at what, for me ,was the pre-cursor of the internet. Useful information at my fingertips (in a huge honkin book). Found this English version and the creators have added a few extra bits but I think I still like the one with sub-titles better. When I was in college I got it into my head to learn to juggle clubs. The only jugglers I had seen were on TV and I thought they were using wooden clubs. I found some old bowling pins and set about teaching myself to juggle. What I taught myself was how much it hurt for solid wooden clubs to slap into your hand after a fast spin. It was years later after I actually was able to touch a jugglers club that I discovered they were lighter and not solid wood. Many years after that I bought some clubs along with an instructional book off the internet. Every summer I pull them out and mess around. Still, they were expensive (I am basically a cheapskate!) 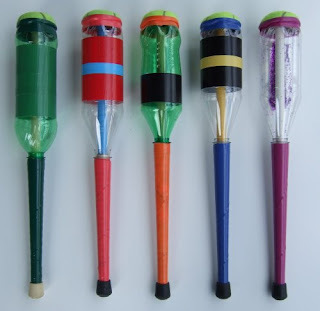 and if you are just looking for a cheap alternative, how about making them yourself. If I had seen this tutorial 6 years ago, I would have made my own. If you are looking into juggling with a bunch of kids, this is a reasonable alternative. Could be a fun project. I was looking for a simple, straight forward history of the internet I could use in my classroom. I haven't found the perfect video/article yet but this little film comes close. I liked it. I learned a few things. My only concern is that I think it will lose a lot of my students. It may be just a tad too technical for some of my freshmen web students? I'll give it a shot with a couple of my classes and see how they respond. 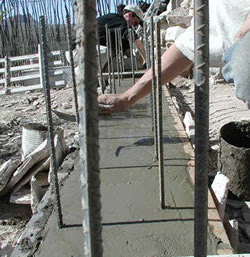 Vela Creations is a documentation of our experiences and projects living off the grid. We are a young couple striving to fulfill our lifestyles through sustainable means. Our hope is that our experiences will serve as guidence to those interested in the technologies and methods illustrated on this site. If you've ever fantasized about building your own home then you'll love this site. It's full of pictures, information and resources. My guess, is I will kill at least another hour or two exploring these pages and following the links. Kids are hard on electronic equipment. Some of it is malicious. I believe most is not. 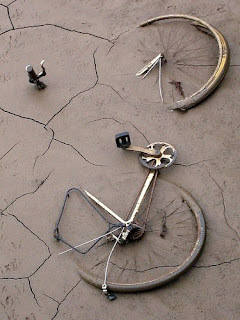 A lot of damage is the result of them learning to use a body that is changing daily. I saw this in my technology lab repeatedly. The worst offenders tended to be my sixth graders. Sometimes it seemed they didn't know their own increasing strength. So I was always on the look out for equipment that was built a little sturdier than what I might get for myself. I saw this camera by Fischer Price recently and thought that it might make a good classroom camera even for older kids. I don't think my middle schoolers would have taken it out of the room as it looks like a child's toy. But it looks like something we could knock around with in the lab, suspend from the ceiling, attach to a 10 foot pole or build into a Lego robot. Every time a child dropped it I would cringe just a little less knowing that it probably wouldn't break and that if it did the price wasn't prohibitive in me quickly replacing it. 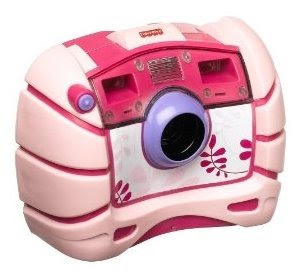 I wish there were a line of cameras designed for kids with a nice balance between price, value and features. I'd spend a little more if I didn't have to plan for a certain number to break every year. Anybody have suggestions along this line for older kids? Did you ever have one of those "dotty" relatives who talked to themselves while they worked? I use this often with my kids as I talk myself through the steps it takes me to accomplish something. I find when I don't do this, what I've done looks like magic. Like it just happens. I had a friend once in frustration say to me after I solved a technical problem she was having, "How did you do that? Do you want to keep me stupid?" I realized that I had done all my thinking in my head and it just looked like magic. I'm trying to do think outloud more with the adults around me but for some reason I feel more self-conscious with my peers. Maybe I don't want them to think I'm dotty? I wish my dad had talked to himself more while I was around. I think maybe I would have learned more as I followed him around the construction sites where he worked. I think we would all do better with a few more dotty adults hanging around. 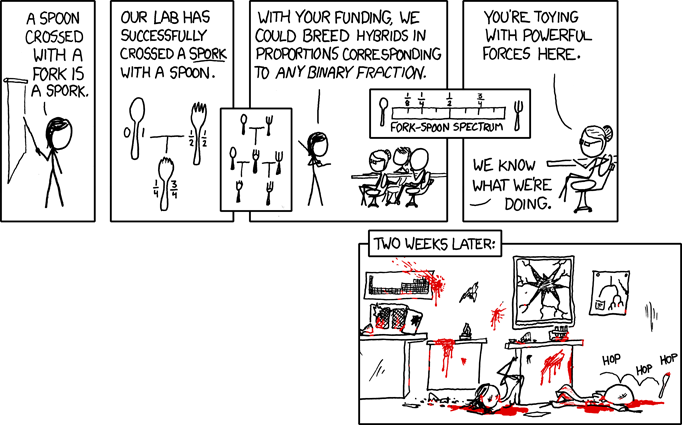 But, if you are short on dotty relatives take a look at this site, Remodeling for Geeks. I read the posts regularly to pick up a few of those tidbits of wisdom I missed while growing up. 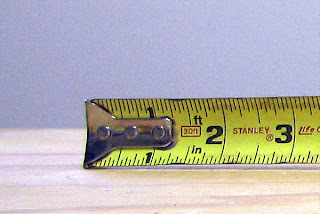 He has a couple of posts that explain tape measures. I thought when I saw this, "I know how to measure." Well guess I had a few things to learn.......if Dad had only talked to his tape measure! We bought a Risk game for our nephew this past Christmas. As we were shopping for the game we noticed how many of the classic games we played as kids were being packaged as bookshelf games, including Risk. I thought this was a great idea. Doesn't take up as much shelf space. Tidy. We bought him the classic Risk in a bookshelf box. Of course I then got to spend six-plus hours playing a game with him over our holiday visit. This game package reminded me of a series of bookshelf games my mother used to buy me for special occasions. I wonder if she liked the fact that they could be put up on a shelf also? Those games like Twixt, Feudal and Facts-in-Five were some of my favorites. I wonder why it took so long to apply the concept to other board games? I guess someone else thought those old game boxes weren't the best. 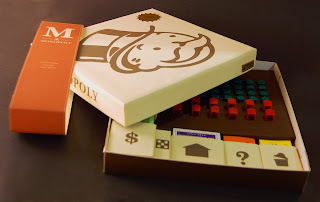 Andy Mangold redesigned the package for a Monopoly game and has several pictures on his web site. Got me to thinking I might be able to come up with something to replace my old Risk box. The picture at the top shows the taped edges of my Risk and Monopoly game which I've had for over twenty years (maybe more). My bookshelf games are still intact with no torn corners or missing pieces. All this memory mining from an old man leads me to thinking how you might apply this to a classroom. Make redesigning a game box a class project. Pick a common game and have your students give it a new look and a better designed package. Could be a lot of fun. Plus you get to play with your homework for years to come. 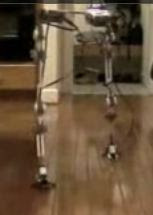 I saw Part 2 of this video (YouTube Link) first when I was surfing around and was blown away that you could build a pair of legs using Mindstorms this size that could walk on their own. Then after reading the comments found out that there are wires holding up the walker. (Play it again and look close, and you'll see them.) Either way. This is still a cool project. Part one was the first prototype. He made a few changes to the second one. 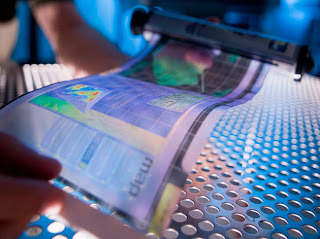 Got to Steven Levy's posts on The NXT Step to read a little more about it. My beginning web students had a challenge before the end of the semester to build a new web site for our FBLA chapter. I graded them using a rubric for design and structure but the final site was picked by the FBLA sponsor and officers. It was a good life experience. If you don't listen to what your client wants and needs, you ain't going to get the job. I wanted to post the front pages of their work and thought I'd experiment with Google Docs again. I put a image of each web page on a single slide of Presentations and then published the doc. I then embedded it on my class website. I also embedded it below. This was a simple process and I had no glitches or problems in setting it up. I think I will probably be using this more in the future as a way to easily display student work. "No they don’t. They are more savvy at using technology, but we are better at using information. They know how to play the information. They desperately need us to teach them to work the information." I've been struggling to put this concept into words the past month or so as I work with kids who are tech savvy but are failing in school. They can find their way around a keyboard and navigate the network but when it comes time to apply their knowledge, they choke and burn. In my classroom, there is always going to be a kid who knows more about a program or piece of technology than me. I have a few advantages though, when it comes to seeing the bigger picture. I have the experience gained from living through previous technology successes and failures. A wonderful kind of learning occurs when student and teacher both accept the other's strengths and recognize their weaknesses. In that place learning can happen. In my new semester class that starts next week, I'm going to be asking my students to let me show them how to "Work the Information". I'm also building in some time for them to show me what they think I should know. I'll let you know what happens. I'm not really motivated to come up with a top ten list of any kind. So, I am grabbing one from Wired. Maybe later today I'll pick my favorite 10 posts for the last year or more than likely I will make a tray of my favorite ten foods and lay around reading science fiction. It's a New Year's tradition for me.